Electric scooter hire startup Bird Rides Inc., a Sequoia Capital-backed competitor to companies owned and backed by ride-hailing companies Lyft Inc. and Uber Technologies Inc., Tuesday launched a “platform” that allows people to manage their own fleet of e-scooters. 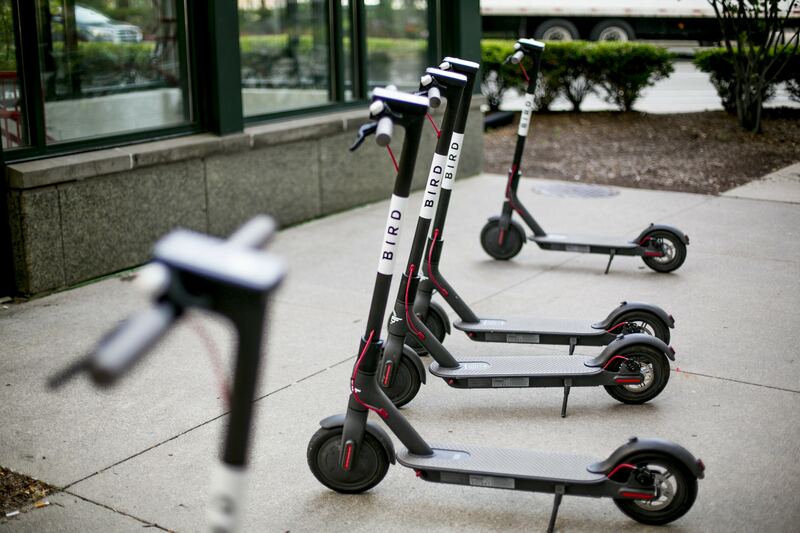 “With the growing demand for access to e-scooters and the mounting evidence that points to their utility in helping improve mobility and reduce short car trips, Bird Platform will provide independent operators with the world-class tools, products and technology needed to efficiently manage a fleet of shared e-scooters,” Bird said in a statement. The Bird Platform could in some ways be described as a franchising agreement, albeit with the ability for operators to utilize their own branding. Bird offers everything required for the management of a fleet of e-scooters, including a customized website. The entrepreneurs or investors are tasked with buying their scooters from Bird, registering a brand and obtaining a permit to operate in a given city. In return, Bird takes a 20 percent cut of all bookings through the franchised service. There is no minimum or maximum number of scooters required to participate in the program, although it’s unlikely that someone signing up will purchase only one or two e-scooters. Adopting a franchising-like model is both a first in the burgeoning e-scooter hire space and an interesting way for Bird to grow its revenue base. Bird has raised $415 million to date, but up against Uber and Lyft that have raised $4.9 billion and $24.2 billion respectively, they are the proverbial David to the two Goliaths. Whether franchising the business works is yet to be seen, but it could prove to be a clever way to expand the company’s footprint without having to spend money directly.